If you've been following the Prehospital 12-Lead ECG blog for a while, you know that I'm advocate of using Sgarbossa's criteria to help identify acute STEMI in the presence of left bundle branch block (LBBB) or paced rhythm. According the Sgarbossa's original criteria, 5 mm of discordant ST-segment elevation is required to identify AMI in the presence of LBBB. Why 5 mm when normally we require only 1 or 2 mm of ST-elevation? Because in the setting of left bundle branch block or paced rhythm, it's normal for the ST-segment and T-wave to be defected opposite the main deflection of the QRS complex! That's why it's necessary to consider the depth of the QRS complex when examining the amount of discordant ST-segment elevation. The deeper the S-wave, the greater the secondary ST-T wave abnormality in the opposite direction! In the original article I wrote on the topic, I showed this example 12-lead ECG to show why the 5 mm criterion is problematic. As you can see, this 12-lead ECG shows sinus rhythm with left bundle branch block and > 5 mm of discordant (opposite the QRS complex) ST-elevation in leads V1, V2, and V3 (the right precordial leads). The T-wave are huge! The problem is, this patient was not experiencing acute myocardial infarction. The ST-segments are elevated > 5 mm because the S-waves are extremely deep (off the bottom of the ECG paper for leads V2 and V3). Had we used the modified criterion of discordant ST-elevation that is = or > to 0.25 the QRS complex (credit to Dr. Smith), we would have seen that in lead V1 the S-wave is 50 mm deep. Thus, we would require at least 12.5 mm of ST-segment elevation to consider this finding positive for acute STEMI. There's another way the modified criterion can help you! Consider this 12-lead ECG that shows a ventricular paced rhythm. It's been in my collection for many years, and I regret that I no longer recall where it came from. This ECG does not meet Sgarbossa's criteria for diagnosing AMI in the presence of LBBB. With the exception of lead V6, the paced QRS complexes show appropriate T-wave discordance, and none of the ST-segments are elevated to 5 mm or more. But wait! 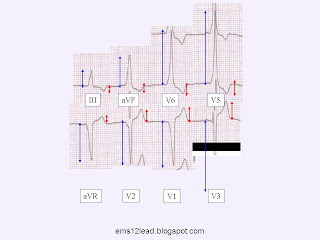 The ST-segments are elevated far greater than 0.25 the depth of the QRS complex in leads II, III, and aVF! This patient is experiencing acute inferior STEMI! The intrinsic QRS complex in the right precordial leads also shows an > R/S ratio in lead V1 and V2 and ST-segment depression suggesting posterior extension, which clinches the diagnosis. So remember, when using Sgarbossa's criteria, huge QRS complexes can cause false positive and tiny QRS complexes can cause false negatives, unless you use the modified rule that considers ST-segment elevation as a percentage of the QRS complex! "New" LBBB - What's the big deal? A recent study points out some of the problems with EMS (Emergency Medical Services) treatment in some places. Each medical director, or state medical director, is permitted to ignore the evidence that some treatments are harmful. They can use ignorance as an excuse for continuing harmful practices. Rather than ignorance, those familiar with the research will claim that somebody might benefit. Their battle cry is What if . . . ? If we take that approach, there is no limit to how much we can do to a patient, and I do mean to a patient, not for a patient. This is not patient care. This is alternative medicine. Since alternative medicine is not medicine, but an alternative to medicine, this EMS treatment qualifies as alternative medicine. When our patients need care, they do not need an alternative to medicine that works, they need medicine that works. Spine immobilization in penetrating trauma: more harm than good? shows that What if . . . ? medicine can double or triple the death rate of our patients. What if . . . ? we act as if our patients matter enough to be treated as human beings. What if . . . ? we try to help our patients survive. The reason for the continued use of What if . . . ? practices seems to be more of a fear of lawyers, than any kind of understanding of medicine. The medical directors appear to presume that they will never get in trouble for doing too much, as long as we are not using pain medicine. They seem to think that anything they recommend is good, or at worst, not harmful. We've got to do something! That is the theme in EMS these days. 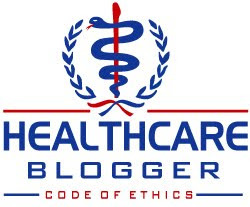 We need to continue to harm our patients right up until there is inescapable proof that we are causing harm. This study seeks to measure the effect of prehospital spine immobilization on mortality in a large national sample of penetrating trauma patients drawn from the NTDB (National Trauma Data Bank). We hypothesized that penetrating trauma patients who underwent prehospital spine immobilization would have higher mortality than penetrating trauma patients who did not undergo spine immobilization. In addition, we expected that a very small proportion of penetrating trauma patients potentially benefited from prehospital spine immobilization. Patients were considered to have potentially benefited from prehospital spine immobilization if they had an incomplete spine injury and required an operative spine procedure (including vertebral spine repair, spine fusion, laminectomy, and/or halo placement). This seems as if it should be the way to determine which patients might have been best treated with immobilization, but there remains a big problem. There is no research to show that without prehospital spinal immobilization, outcomes would be any worse, even for patients with unstable spinal fractures. We presume that this is an effective treatment, but we are only hoping that we are doing the right thing. On subset analysis of specific patient populations, no group of penetrating trauma patients had any survival benefit with prehospital spine immobilization (Fig. 1) Even for patients with the least severe injuries (ISS <15), spine immobilization was independently associated with significantly decreased survival (OR of death 3.40, 95% CI 1.48–7.81). The OR of death was significantly elevated for GSW patients (OR 2.12; 95% CI 1.33–3.37) and for hypotensive patients (OR of death 2.42, 95% CI 1.37–4.27). The fatality rate appears to be multiplied, not just increased, by this treatment. Maybe it is time to stop killing so many of our patients. Fortunately, most places stopped this dangerous treatment long ago. This comes from Johns Hopkins. It appears to have been motivated by the continuing attempts by MIEMSS (Maryland Institute for Emergency Medical Services Systems) to stick to the What if . . . ? method of treatment, in spite of evidence of harm. MIEMSS protocols do not appear to differentiate between blunt and penetrating trauma, when determining if immobilization is necessary. Of these 116 patients, 86 (74%) had complete spinal cord injury and would not have benefitted from spine immobilization. Only 30 (0.01%) of the 30,956 patients had incomplete spinal cord injury and underwent operative spine stabilization. The number needed to treat (NNT) with spine immobilization to potentially benefit one penetrating trauma patient was 1,032. The NNH (Number Needed to Harm) with spine immobilization to potentially contribute to one death was 66. The NNT is not at all clear. They are using a potential benefit of spinal immobilization that has only been presumed. That benefit has not been demonstrated. Where is the research to show that prehospital spinal immobilization in any way improves outcomes for patients with unstable spinal injuries even due to blunt trauma? In this case, the NNH is not the Number Needed to Harm. What is reported is the Number Needed to Kill, because they are only looking at fatal harm in calculating NNH. When looking at benefit, if they were to look for lives saved by spinal immobilization for penetrating injuries, they would still be looking. If they had a unicorn to guide them, they might find something. According to one study of the harm due to spinal immobilization, the NNH is less than 2. In this population of alert and cooperative patients with no obvious distracting injuries or clinical signs of intoxication, 52% had no complaints of neck pain or back pain yet were transported to the ED using FSI (Full Spinal Immobilization), which increased both their level of discomfort and their EMS charges. The number needed to treat is 1,032 - assuming there is any benefit from prehospital spinal immobilization. Only 1 study has looked at this. It found no evidence of any benefit. Even those with unstable spinal fractures did worse with spinal immobilization. Unfortunately the study was too small to be statistically significant. The number needed to harm is less than 2. The number needed to kill is 66. The extremely optimistic number needed to treat is 1,032. Although the intention behind conservative prehospital spine immobilization protocols is to protect the minority of patients who suffer spine injuries, this study demonstrates that spine immobilization is associated with higher mortality in penetrating trauma patients and may harm more penetrating trauma patients than it helps. Prehospital spine immobilization was associated with higher odds of death in all penetrating trauma patients, and this association was qualitatively robust across all subsets of penetrating trauma patients. The merits of IV ﬂuid administration, endotracheal intubation, and now spine immobilization (in penetrating trauma patients) have been called into question, because their clinical benefit may not be worth the extra time on scene. This is an excellent example of narrative fallacy. We know that spinal immobilization leads to worse outcomes for patients with penetrating injuries. That is the part that is important to know. Then there is an attempt at an explanation - because their clinical benefit may not be worth the extra time on scene. This explanation is where we make a mistake. I have written about narrative fallacy here, here, here, here, here, and here. In the limitations, they do acknowledge this to some extent. Our conservative estimate of the benefit is possibly exaggerated as not all patients with an incomplete spinal cord injury who underwent surgery truly benefitted from spinal immobilization. Elsewhere in the limitations, they write this. This retrospective study suffers some significant limitations, mainly because of the data available. The NTDB does not report prehospital scene or transport times or differentiate urban versus rural care. Thus, we could not demonstrate that the excess mortality in patients who underwent spine immobilization was associated with delays in transport to definitive care. There is not really a good reason to presume that extra time on scene is the reason for the dramatic increase in death among those immobilized. While it is possible that time does contribute to the result, it is a mistake to claim that a study that does not have the ability to examine prehospital times at all is capable of providing evidence that extra time on scene is the cause. Another recent study showed that there is no reason to believe that prehospital times significantly affect outcomes even for the most unstable trauma patients. Where research is not being used, we need to find ways to get the medical directors to understand research. Then we need to get them to apply the research. ^ 1 Spine immobilization in penetrating trauma: more harm than good? Haut ER, Kalish BT, Efron DT, Haider AH, Stevens KA, Kieninger AN, Cornwell EE 3rd, Chang DC. J Trauma. 2010 Jan;68(1):115-20; discussion 120-1. ^ 2 Spine immobilization in penetrating trauma: more harm than good? ^ 3 Out-of-hospital spinal immobilization: its effect on neurologic injury. Hauswald M, Ong G, Tandberg D, Omar Z.
Acad Emerg Med. 1998 Mar;5(3):214-9. I wrote about this study in Spinal Immobilization Harm. 348 pages of trying to predict everything that might go wrong. ^ 5 Unnecessary out-of-hospital use of full spinal immobilization. Acad Emerg Med. 1998 Mar;5(3):278-80. No abstract available. ^ 6 Out-of-hospital spinal immobilization: its effect on neurologic injury. This is the same study as footnote . ^ 7 Emergency Medical Services Intervals and Survival in Trauma: Assessment of the "Golden Hour" in a North American Prospective Cohort. Newgard CD, Schmicker RH, Hedges JR, Trickett JP, Davis DP, Bulger EM, Aufderheide TP, Minei JP, Hata JS, Gubler KD, Brown TB, Yelle JD, Bardarson B, Nichol G; Resuscitation Outcomes Consortium Investigators. I wrote about this study in Emergency Medical Services Intervals and Survival in Trauma: Assessment of the "Golden Hour" in a North American Prospective Cohort. Gordon Ewy MD: "We're about at the tipping point." 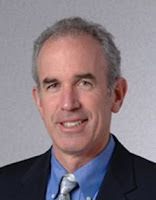 Dr. Gordon Ewy from the University of Arizona is probably the World's leading advocate for "cardiocerebral resuscitation" (as opposed to cardiopulmonary resuscitation). In other words, continuous chest compressions. 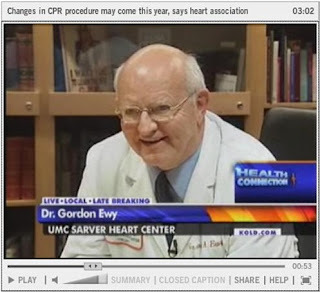 The American Heart Association stopped short of advocating continuous chest compressions for professional rescuers in 2005, but Dr. Ewy thinks we may finally be at the "tipping point." Click HERE to see the report on KOLD-TV News 13 from Tuscon, AZ. I just love this quote from the Arizona Republic. "It's OK to be cantankerous and opinionated if you're right," he says. "And we're right." I watched an outstanding documentary last night on Neflix called Breaking the Maya Code. It was based on a book of the same name by Michael D. Coe. The documentary examined how passionate researchers broke the code of the Maya glyphs over the course of decades. I found many things about this documentary to be fascinating, but as I thought about it this morning I realized that deciphering the Maya glyphs is a lot like interpreting 12-lead ECGs. You can teach someone to recognize certain symbols within in a relatively short period of time, but to become a master decipherer of the glyphs might take a lifetime. Likewise, you can teach a paramedic to recognize ST-segment elevation on the 12-lead ECG in a few hours, but learning how to differentiate between STEMI and the STE-mimics takes a lot longer. Even if you can decipher most of the glyphs, there still might be value in passing along a photo or rubbing to a colleauge who knows more about Maya glyphs than you do. The AHA ECC guidelines call this "expert consultation". Likewise, if it's a marginal case, and you're not sure if it's a STEMI, there may be value in transmitting an ECG for a physician interpretation. The point is that Maya glyphs are beautiful and complicated, and there's always more to learn. The same is true with 12-lead ECGs. 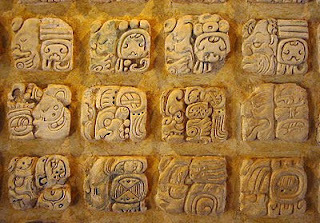 One of the first things they figured out about the Maya glyphs was how the Maya counted and kept their calendar. Compared to the rest of the Maya glyphs, this seemed relatively straight forward (although the calendar is astonishingly accurate and predicts the motion of heavenly bodies). However, when they started to decipher some of the other glyphs, it turned out that various symbols could have more than one meaning or be drawn more than one way. Or, when one symbol was combined with another it could modify or change the meaning in unexpected ways. Do you see the connection to electrocardiography? We should not confuse STEMI recognition with mastery of the 12-lead ECG. We should not decide that because paramedics can identify ST-segment elevation on the 12-lead ECG that paramedics can read an ECG as good as an emergency physician or cardiologist. Perhaps some of us can, but in reality the vast majority of us can't. There's no shame in that admission. However, that doesn't mean that the knowledge is forbidden to us or that it's somehow unobtainable or reserved for the select few. You can learn anything you set your mind to, whether it's learning how to decipher Maya glyphs or interpreting a 12-lead ECG. The people in the documentary, whether they were from academia or amateurs who were drawn to the glyphs, became experts because they had a passionate desire to understand this beautiful and unknown language. They were awe-struck by the sense of discovery they felt when they made a new connection. Do you still feel that way about medicine? If you're a paramedic who has learned how to identify acute STEMI on the 12-lead ECG, I challenge you to learn something new about 12-lead ECG interpretation. Spend a few hours learning three different methods for axis determination and see how it deepens your understanding of the 12-lead ECG! I also challenge you to approach chest pain patients with a new level of enthusiasm and interest. Approach these patients like a scientist and an artist. Undress the patient from the waist-up. Prepare the skin and place the electrodes with care and precision. Take pride in capturing a 12-lead ECG with excellent data quality. When you obtain the ECG, be mindful of the fact that you're looking at a pattern that corresponds to the electrical activity of the patient's heart. Then ask yourself, how would the Maya treat a signal from someone's heart? I have been reading quite a bit lately, in EMS trade journals, about professionalism in our industry. A couple of the articles have really stuck with me, and made me think. Sometimes in our illustrious profession, we begin to make the motions without even thinking about what we are doing. This may be a result of experience and confidence, and indicates assertiveness. For instance, you respond to a patient complaining of atraumatic chest pain, you ask if they are allergic to aspirin or if they have any bleeding disorders, then you administer the medication. This probably use to take you a bit longer to do, but after doing it so many times, you can do it without even thinking. This development, however, may be a little too disconnecting. What I mean by that, is the relationship between you and your patient. Think about your training labs in EMT and paramedic school. How do we first practice our prehospital skills. The use of training mannequins has become almost universal. We shock them, splint them, chest decompress them, crich them, and intubate them. Not once, did we have to introduce ourself to these inanimate objects, or ask for permission to perform procedures on them. There has been advancements, and they even have Sim-men hat even talk back, but they are still a far cry from the real thing. Now think about running a bad call. An unconscious patient, whether it be as a result from a traumatic event, or cardiac arrest. Do you still treat these patients as if they are mannequins in training lab? I'm sure you're not kicking them to check for arousal, like you may have done to rescue annie, but do you let it set in that you are dealing with a real person? If you're like most of us, probably not. We tend to disconnect ourselves from the reality, and severity of situations like these as a coping mechanism. Psychologically, no one could deal with the storm of emotions that would arise from getting too involved on every call. The problem with the above method of coping, is that it is only beneficial with a patient that can't comprehend what is going on. With our everyday patients, it is better to treat them like people. I know this sounds pretty basic, but I think it may be overlooked more often than not. One of the most important phrases to be said on a call is "hello, how are you, what is your name? ", a nice follow up to this is "my name is ___ and I am your EMT/paramedic". This simple greeting does so much. Next I would say something like "so what brings us here today" and follow it up with "well I am here with some of the best in the business, and we are going to make sure everything is going to be okay". Is everything going to be okay? Maybe not, and I know what the texts say about false reassurance, but so what? I don't think it has harmed a single person to try and put them at ease. In fact, if you are on scene with someone having the big one, a reduction in stress could result in a reduction of morbidity. While greeting the patient with these phrases, you may want to hold their wrist. You may put them at ease even more, while obtaining a few vital signs (ie. pulse rate, rhythm, & quality, skin condition & temperature). I don't expect that any of this information is shockingly new to anyone reading this. It may, however awaken at least one reader who has, maybe, let their empathy fade over time. I have to constantly remind myself about this. Well, medically-ignorant, not ignorant-ignorant; most of them anyhow. This is extremely important to remember. We know the medical phrases, they don't. We know most medical conditions in more depth than they do. We have seen more people with many more pathologies than they have. So because of this, what comes out of our mouths is immensely important. It is very possible that they called 911 because they were scared and had no idea what to do. They expect a professional to show up and tell them what to do. When you show up on scene, you are an expert in the opinion of your patient, until you open your mouth. It is your job to keep them thinking you know everything there is to know, even if you don't. If you start out by using a variation of one of the phrases I made mention to above, you are on the right track to keep their confidence. Don't make your patient's feel dumb. This is something I commonly see, "so you took your insulin and you didn't eat anything? ", or "you have a fever, why didn't you try taking Tylenol? ", or "if you take anti-inflammatories on an empty stomach, you are going to have belly pain.". Say those phrases with a condescending, patronizing undertone to get the full effect. If you don't want to run needless calls, get a new job. They are inevitable, and allow us a chance to educate, not punish our patients customers. Don't get me wrong, I have my moments of frustration. They easily fade away when I consider the unemployed alternative. We know our patients are medically-ignorant, and that they probably called us out of fear. It is then easy to assume that the decision to go to the hospital for further treatment is most often predicted by what we say and how we say it. I would venture say that over 90% of our patients are going to go to the hospital or refuse transport based on what we tell them. The rest probably didn't call us themselves anyhow. - So, do you want to go to the hospital for this by ambulance? - Since I'm not exactly certain there isn't something more serious going on, why don't we go to the hospital and get this checked out to put your mind at ease? I think it is safe to say that the first question would most likely get you a signature and a wave while the second may get you a transport. There are a ton of these phrases that we have all learned to use; hopefully in the right way. It is important not to abuse this power that our patients give us. I'm not saying to talk every person you come across into being transported, just be careful to not talk them out of a transport. It is always easier to explain why you did than why you didn't. - Say "your welcome", or "my pleasure"
- Use welcoming body language. Open arms, eye-level stance. - Talk to the less severe patients during transport. I like to ask where they are from or what they did for work, it is easy to bury your face in your PCR and just watch the monitor. Holding a conversation with the patient may clue you into a change in symptomatology such as breathing patterns or neuro-deficits like short-term amnesia. - Wish the patient well before leaving the hospital. First and last impressions are important. A really interesting 12-Lead ECG was posted to the Cardiology & Electrocardiography (ECG, EKG) Experts group on Facebook the other day. If you're not familiar, this is one of the groups / fan pages on Facebook I help moderate with Jason Winter who also started the Cardiology & Electrocardiography Experts blog. What's so interesting about this ECG is that it shows a relatively infrequent STEMI mimic. In addition, it helps demonstrate a point I've been pondering about several of the STEMI mimics in general. The patient was a 29 year old male with no complaints. The ECG was captured during a routine workup according to the contributor Chris de Beer (thanks again for the interesting ECG, Chris). The ECG shows a WPW pattern as evidenced by a short PR interval and delta waves. The delta waves create a pseudo-infarct pattern (Q-waves) in the septal leads. You might recall from my previous post about left ventricular hypertrophy (LVH) that I think recognizing the so-called "strain pattern" is actually more important than knowing the "voltage criteria" for LVH. What does this ECG have in common with a strain pattern from left ventricular hypertrophy (LVH)? What does it have in common with left bundle branch block (LBBB)? 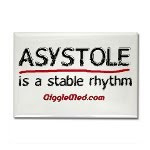 What does it have in common with ventricular rhythms? Including paced rhythms? The answer is, it has a widened QRS-T angle! To put it another way, the T-waves and ST-segments are deflected opposite the main deflection of the QRS complex, and (this point is the most critical) the degree of the ST-T abnormality is proportional to the size of the QRS complex. Think of this as a supplement to Sgarbossa's criteria and the "rule of appropriate T-wave (and ST-segment) discordance". Here's a graphic to help illustrate the point. When you see a pattern like this, regardless of cause, it should set off alarm bells that you are dealing with a STE-mimic and not acute STEMI! Note that the S-wave in lead V3 is cut off by the bottom of the ECG paper. This is a common problem with prehospital 12-lead ECGs! We must presume that the S-wave would be the deepest in lead V3 if we were able to view the entire QRS complex. That doesn't mean the patient isn't experiencing acute myocardial infarction (although this patient is asymptomatic so let's pretend he was over the age of 30 and complaining of chest discomfort). It just means you should wait before pulling the trigger on the cardiac cath lab. Look for changes on serially obtained ECGs instead! So I just read an article of a man who went to bed and never woke up after an accident where he refused EMS, and many thoughts ran through my head. This guy rolled his vehicle and suffered blunt force trauma to the head. He signed a refusal to EMS, and he was on his merry way. I have many questions. Was he restrained or ejected? What did he strike his head on? Did he lose consciousness? What was his true mental status at time of assessment? Was there a legitimate assessment done? If not, did he refuse even assessment? Was medical command consulted? Why do I ask? This is an unfortunate event that resulted in the untimely death of a very young adult. We have experienced or have potential to experience similar episodes. We need to ensure our patients don't slip through the cracks. So, whose fault was it that he died? Well, inevitably, it was his own. He had drugs in his system while driving; he lost control of his vehicle, most likely from driving too fast; he was probably not restrained; and most of all, he refused medical treatment. Does that mean he was clearly an idiot? Maybe. Maybe not. Does this absolve the EMS crew of any responsibility? This is where I would like to have some more information to answer that. It could be that the EMS crew may or may not have done all they could have done. Am I discussing liability? I hate discussing liability. I would rather discuss good patient care and the prevention of premature deaths like this young man we are discussing. That should be our driving force. Not tort prevention. Anyway, that is neither here nor there. What I want to discuss is how can WE try to prevent an episode like this from occurring on one of OUR calls. I asked about MOI. Rollovers are no longer criteria for trauma center transports since last year, though many systems still advocate it. However, with a rollover, more investigation needs to be done to determine the MOI directly to the patient. Did the vehicle flip multiple times? Was he unrestrained and hit he his head against the windshield or damage the interior of the vehicle with his body? The MOI is not a guidance to treatment nor mode of transport but the MOI may determine the appropriate destination hospital, such as LVL1 or LVL2 trauma center. It does not indicate need for helicopter. Distance to trauma center AND assessment findings do. It DOES mean you need to be more suspicious and focus your assessment on that suspicion, based upon the MOI. In this case, a complete trauma assessment, ensuring to pay particular attention on the head with a good neuro exam. Someone at face value may appear benign, but upon closer evaluation, may show subtle signs or symptoms of a serious injury. So for this reason, we should not be so lax when responding to these calls even when finding the patient outside the vehicle visibly appearing uninjured. I know most of us, myself included, were quick to get a refusal in the middle of the night when our sleep was interrupted by some bozo who wrecked his or her car, and is found outside giving police information. I cannot emphasize enough the importance of doing a thorough assessment based upon the MOI, and this is a good case of why! Let's say an assessment was performed and the assessment appeared unremarkable. With a MOI that caused blunt force trauma to the head, he should still be advised that further medical evaluation is necessary. Don't just tell him that. Patients will just tone that out. Explain WHY he should be evaluated at a hospital. Explain the process of TBIs in how their effects are not often readily evident and how people wake up, or, well, don't wake up-dead. Explain about forces that can damage internal organs like major blood vessels that can again, take time to manifest signs and symptoms. You may also want to get medical command to speak to him to explain the risks of not going to the hospital. If after all of that, he refuses ambulance transfer for whatever reason, try to get his assurance that he will seek evaluation at an ED ASAP. There have been many patients that I have evaluated who did not appear to NEED an ambulance, but should get further medical evaluation and treatment, who I felt easy allowing them to go by POV to the hospital. We all have. This guy, if he went by POV directly to the hospital, and got scanned, he may be alive today, although, I would advocate ambulance transport for him. ED MDs seem to give more attention to the patient brought in by ambulance than POV. If he refused to even go the hospital on his own, give him a list of signs and symptoms to be vigilant for as well as their significance. Of course you will instruct to call EMS or seek an ED if these signs and symptoms develop. Now let's say further assessment WAS remarkable. You observe abnormal findings and realize he NEEDS to go to a trauma center. He refuses. You give him the speech and try to educate him. He still refuses. Now what? This is where it is imperative to get a hold of medical command and get the MD to speak to him. If he STILL refuses, you are pretty much legally off the hook. Otherwise, you would have to force him against his will, and they you are tempting kidnapping charges and violating patient autonomy. But you still have an an option or two. If police are present, try to use their authoritative demeanor to try and convince him. Of course, if the patient's condition does appear serious enough, there is also the option of taking him involuntarily, but only after medical command consultation. Otherwise, if you go that route, you better be prepared to justify it. The police will not usually get involved if the patient shows no altered mentation and unless you can can show it was obvious the patient would surely and quickly die otherwise, you may be asking to be sued. Therefore, I advocate to stay away from the notion of kidnapping. IF after all is said and done, and he still refuses, beg him to go on his own to the hospital, primarily a trauma center, and explain to him why. Be sure to document well no only the scene survey and assessment results, but also ensure you state in detail all of your efforts to convince the patient to be transported to the hospital. Many states or agencies have their own special refusal forms, with a copy that goes to the patient. Ensure this is completed well, and if your narrative section is small on the refusal form, ensure your efforts to convince the patient are listed there. Ideally this info should be on the form signed by the patient and the copy given to the patient that lists your efforts. Attorney (and paramedic) W. Ann Maggiore advocates for a multi-tiered patient refusal form that applies to different types of contacts, such as the patient who needs to go but refuses, the patient who should be seen but does not necessarily need EMS and the person who does not become a patient at all, such as the fender bender you are routinely called to by bystanders but all parties involved are just trying to exchange insurance info and are denying injuries. I know this goes without saying, but please don't deviate from your refusal protocols. The courts generally adhere to the concept of patient autonomy, and if the patient refuses, your adherence to your protocols and proper documentation are what will protect you legally when the patient or family try to sue you later, such as in this case. So to summarize, the concepts are do a good scene survey to evaluate MOI to determine how to focus your assessment and appropriate destination hospital. We do an appropriate assessment based upon the MOI. Not a half-assed one. Those are the ones that burn us. Explain the risks, not just in vague terms, but really explain them. And get medical command involved if necessary. Just getting a signiture on a refusal form is not enough. So when you go home at the end of your shift, and you learn the patient who refused later turned up dead, your conscience should could be clear you gave your best effort for what was best for the patient. Then you can say for sure if he was really an idiot or not. Dr. Lurie – thank you for this opportunity to discuss impedance threshold device technology and the ROC PRIMED study. I see that you attended Stanford School of Medicine. Where did you complete your undergraduate degree? Did you enjoy medical school? Very much so. I could not afford to go without working and I worked 20 hours/week in a lab to pay my way. I was exposed to some fantastic teachers and became a researcher in the process. Why did you choose Cardiology? I worked in med school in a lab that did heart transplant research. I became interested in the biochemistry and pharmacology of the heart, did lots of heart transplants in animals, and became fascinated by the complexity and beauty of the cardiovascular system. I also like to do procedures so it was a natural. You did your residency at the University of Pennsylvania and a fellowship at the University of California – San Francisco. Could you briefly explain to my readers the difference between a residency and a fellowship? During residency you learn how to become a doctor and during a fellowship you narrow down to a specialty or subspecialty area. So during residency I became an internal medicine doctor (instead of, for example, a surgeon). During my fellowship I became a cardiologist and then later a cardiac electrophysiologist. How did you end up at the University of Minnesota? I wanted to stay in academic medicine, the U of Minnesota had an excellent program, and my sister and brother-in-law both were academic docs at the U of Minnesota. My wife and I loved San Francisco but it was a difficult place to raise a family and have an academic career. We have been very happy in Minnesota. You’re also an inventor, the holder of several patents, and the founder of a company. Did you always see yourself as an inventor and an entrepreneur? In college I never thought about becoming an inventor and I never wanted to become a businessman. I studied architecture and discovered I had some creativity but decided to go to medical school as I also loved biology. In 1990 I reported in JAMA on the use of a toilet plunger by family members who performed CPR on their dad with a household plunger (CPR: the P Stands for Plumbers Helper). A colleague told me I should patent the idea. I told him I knew nothing about patents but if he wanted to enlighten me I was game. Twenty years later I know a lot more about this process. I started Advanced Circulatory Systems Inc in 1997 against my better judgment as I really did not want to become a businessman. However, while studying the plunger idea we discovered the idea of an impedance threshold device (ITD) and no other medical device company was interested in the ITD concept we discovered at the U of Minnesota. Every time we tested the ITD in pigs during CPR is was pretty amazing. Blood flow to the heart and brain was 4x higher with the ITD and active compression decompression (ACD) CPR (plunger CPR) compared with manual standard CPR and 2x higher with the ITD and standard CPR vs standard CPR alone. Ultimately I realized I could write lots of papers but not necessarily impact patient care through research. Alternatively I could potentially start a company to get this technology out into clinical use and maybe help make a bigger difference. It has been a long journey, with some very high points and a few low points. One very high point was when the plunger device, (the CardioPump) and the ITD were used together on our 2007 U of Minnesota cardiac electrophysiology fellow after he had an out-of-hospital cardiac arrest while jogging in Minneapolis 1 month after he finished his EP training. He survived, was also treated with therapeutic hypothermia, and practices EP today! That was clearly a high point. How did you come up with the idea for the ResQPOD (Impedance Threshold Device or ITD)? I was bothered by the fact that there were disparities in the benefits associated with active compression decompression (ACD) CPR (CardioPump) and I was studying it in an acute model of VF. Patients in need of an implantable defibrillator (ICD) in 1991 had a new option to get a device with a pacer-like lead placed in their heart. Prior to that time when you needed an ICD the chest was opened with a thoracotomy and electrode patches were placed on the heart. With the new transvenous approach, the one we use today where the leads goes through a vein into the heart, the FDA made us induce VF successive times until we found the defibrillation threshold. This means that at least one time the ICD would always fail and then we needed it to recharge and defibrillate the patients with a higher amount of energy. Sometimes we had to do manual CPR and after that happened a couple of times I decided to compare the acute physiology of VF during manual standard CPR versus ACD CPR. We obtained IRB approval and conducted a little study. With ACD CPR minute ventilation was 16 L/min vs 4L/min with standard CPR. Coronary perfusion, ETCO2, and systemic blood pressures were about 25% higher with the ACD CPR. However, we were also measuring the pressure inside the thorax with an esophageal manometer and there was no difference between standard CPR and ACD CPR. That bothered me. I was talking to a colleagues, Mike Sweeney, an anesthesiologist, about this and told him I did not know why the intrathoracic pressure was not going down each time we pulled the chest upward with the ACD CPR device. He suggested that we pre-oxygenate the next patient we operated on and when I did ACD CPR he would occlude the ET tube with his thumb. The first time he did this we watched the esophageal manometer pressure plummet to -10 mmHg when I pulled up with the ACD CPR device and I knew immediately that we had discovered something. It was a Eureka moment. By preventing air from rushing into the lungs, we created a greater negative vacuum and that sucked more blood back to the heart. Within 6 months we published an article in Circulation showing that when performing ACD CPR in pigs, transiently preventing air from rushing into the lungs during the decompression phase (chest wall recoil) of CPR with a one way valve would result in a lower intrathoracic pressure. The lower intrathoracic pressure causes more blood to move back into the heart, refilling it better for the next time the chest is compressed. We showed that you could normalize blood flow to the brain with this approach (compared with 20% of normal blood flow with manual CPR) and provide the heart with 70% of its normal blood flow. We later modified the ITD so that if a patient woke up they could breathe through it and we added a timing light to guide the ventilation rate (1 quick breath per flash) and the compression rate (10 compressions between flashes). It was ~ 10 years later when we rediscovered that lower intrathoracic pressures cause lower intracranial pressures immediately, and thus one of the additional reasons brain flow was normal in these pigs getting ACD CPR and the ITD. The device is mechanically relatively straightforward but physiologically more complex. When you compress the chest air leave the lungs through the ITD with minimal or no impedance. When you ventilate a patient during CPR air goes into the patient through the ITD with minimal or no impedance. However, when the chest is recoiling (passively or actively) after being compressed, the ITD blocks air from entering the lungs, thereby creating a greater decompression phase vacuum inside the thorax. This pulls more blood back into the heart and lowers intracranial pressure. In this way the heart is more efficiently refilled after it is emptied during the compression phase and the brain gets more blood by two different mechanisms. If the patient starts to breathe after they are resuscitated, they can breathe through the ITD but it can be difficult. The ResQPOD that is being sold commercially in the US has -10 cm H2O resistance when a patient inspires through it. The ITD used in the ROC study had a -16 cm H2O resistance. The higher resistance is needed to optimize ACD CPR (which we thought would eventually be used in the US at it is used now in some other countries). However, with standard CPR we never achieve a very large vacuum in the thorax with passive chest wall recoil so -10 cm H2O resistance is adequate. That is, with passive recoil of the chest, the vacuum created with an ITD is typically only -2 to -6 cm H2O. So, in short, the ITD turbo-charges CPR. It doubles blood flow back to the heart when used with manual standard CPR and it lowers intracranial pressures (ICP) (part of the normal physiology we rediscovered about 8 years ago). This results in more blood flow to the brain as there is less resistance to forward flow. You have to take the ResQPOD or ITD off of the patient when not doing CPR or it can cause potential harm after the patient has been resuscitated. On the other hand if a patient is gasping but in cardiac arrest then they are trying to generate a negative intrathoracic pressure on their own and you should leave the ResQPOD on the patient as long as CPR is needed and being performed. Most people do not know that each time we take a breath and inspire spontaneously, or when we create a negative intrathoracic pressure within the chest during the decompression phase of CPR with the ITD, this lowers intrathoracic pressure and the lower pressure in the thorax is immediately transferred to the brain via the rich venous plexus surrounding the spinal cord. So with greater negative intrathoracic pressure, the ICP goes down. Thus, we can lower ICP by lowering intrathoracic pressure. One way to do this is with the ITD or ResQPOD. Needless to say we did not rediscover this overnight but we believe this is contributes to why more patients wake up after cardiac arrest when they are treated with the ITD. The lower the ICP or resistance to forward blood flow, the more blood will go to the brain. This principle has not been well exploited in medicine. The converse is also true. One of the reasons that pressure bombs cause head injury is that pressure waves are transmitted through the abdomen and thorax via the spinal cord and venous plexus around the cords to the brain and this can cause a sharp and deadly rise in ICP. The device was given a Class IIa rating in the 2005 AHA ECC guidelines, which is higher than any medication. Were you excited about that? The ITD doubled blood pressure during CPR. That study along with other studies in animals and people convinced us to launch the product in the US. The study results were exciting. The AHA recommendation of Class IIa based upon increased circulation has helped get this technology out onto the streets and helped to save lives. Some of the largest EMS systems in the country are have implemented all of the Class I and IIa recommendations including the ResQPOD. Fewer people are dying in those cities after cardiac arrest now and that is very gratifying. I think many of us who have been following the ResQPOD were surprised by the recent announcement by the National Institute of Health that the ROC PRIMED trial was stopping enrollment. Considering that the ROC PRIMED trial was a prospective, multi-centered, randomized clinical trial with large enrollment, are you concerned about these results? We know that complete study results will not be disclosed for 6 - 12 months. What we know is from discussions with key personnel involved with the study and from press statements. So to directly answer your question, I am not concerned with the results, nor am I surprised. I feel it is important to focus on the lessons learned already from the ROC study so that we can improve outcomes uniformly when rescue personnel use the ITD. 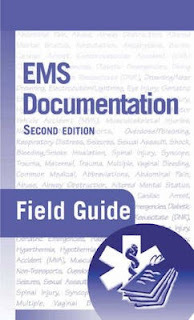 As the founder of the company that makes the ITD, I continue to believe in the fundamental physiology underlying the ITD, its potential to increase circulation in patients in cardiac arrest, and in the potential for the ITD to increase neurologically-intact survival rates, especially when the device is used in emergency medical services (EMS) systems that are already performing well. There were no safety issues with the ITD. Some sites saw a benefit with the active ITD and others did not; on average no increase in neurologically-intact survival to hospital discharge benefit was observed. Overall survival rates increased during the study compared to baseline. The study arms that concurrently evaluated 30 seconds of CPR versus 3 minutes of CPR followed by analyze and shock found that both groups had similar outcomes. I also know from confidential discussions that the cities that had the highest survival rates before the ROC PRIMED study had an increase in survival rate with the active ITD compared with the sham during the this study. 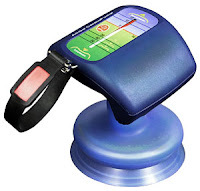 Do you expect that the ResQPOD (Impedance Threshold Device or ITD) will be downgraded to a Class IIb rating in 2010? While I am not involved in that process, and was not previously, the AHA committees that make that determination will look at all of the data available this year. The ROC ITD study was neutral and I believe that the ITD will continue to have a Class 2a recommendation. One study with over 1000 patients published by Aufderheide et al in 2009 showed a significant increase in survival rates compared with historical controls in 6 large EMS systems (Crit Care Med 2008; 36[Suppl.]:S397–S404). There was a >50% increase in survival for patients presenting with ventricular fibrillation. Another recent study comparing in-hospital ITD use with historical controls showed a 65% increase in neurologically-intact survival to hospital discharge for patients treated with the ITD: the historical controls had a 17% survival to discharge versus 28% in the ITD-treated group. (Thigpen et al, J. of Respiratory Care, in press, 2010). So far all of the studies have been positive and the ROC study overall was neutral. I believe there will be some subgroups even in the ROC study will show a strong trend towards a benefit. In the study design, patients were randomized to one of two devices: the “active” ITD or the “sham” ITD. Did both devices look identical to the rescuers and were both equipped with a timing light for ventilations? Yes, the devices were opaque and yellow and could not be distinguished when looking at them or feeling them. Both had timing lights that flashed 10x/min. Do you think the simple fact that patients were not hyperventilated was an important factor in the relatively high survival rates seen in the study? I am not sure I would agree with your conclusion that there was a relatively high survival rate. Before the study the survival rates to hospital discharge with good neurological function ranged from a low of 1.1% in Birmingham AL to 8.1% in Seattle. The mean neurologically-intact survival rate was 5% in all of the sites during the study: that is close to the national average and not very high at all. I am certain that performing CPR at the correct ventilation rate helped to some degree, but it is hard to know how much. I think both groups were likely to have had a very similar ventilation rate. Editor's note: This question was based in part on Lisa' Bell's blog post Unexpected Increase in Survival Rates in ROC Study at JEMS Connect. The study also randomized patients to an “early shock” or a “late shock”. Could you please explain the difference in these two approaches? Half the patients were treated with 30 seconds of CPR followed by analysis and shock and the other half had 3 minutes of CPR followed by analysis and shock. If the patients still required CPR then it was continued with either an active or sham ITD. In some cases the ITDs were added in the 3 minutes of CPR, analyze, shock group, but usually the ITD was added after these 2 different CPR/analyze/shock interventions. This makes analysis of the ITD effect more challenging to say the least. We know that in many cases it takes longer to get an AED onto a patient so the 30 seconds was more often closer to 60 seconds. We know that the study did not show a difference in outcomes when comparing 30 seconds vs 3 minutes of CPR. I noticed that even the “early shock” patients received some chest compressions prior to the first defibrillation attempt. Does this study demonstrate that boosting the heart’s perfusion pressure prior to a defibrillation attempt is a critical intervention? We do not have a control group in this study to draw that conclusion. I can say that one site, Seattle, believed so strongly in CPR before shock for any patient in cardiac arrest >4 minutes before being able to deliver a shock that they refused to participate in the 30 sec vs 3 min of CPR analyze and shock portion of the study. This is also the site with the highest survival rate before starting the ROC PRIMED study. Is there anything else you’d like to say to about the ROC PRIMED trial, cardiac arrest, or any of your inventions? I do have more I would like to say and I apologize as it is quite lengthy. But let me premise my comments by saying there is no silver bullet in CPR and we have been foolish for decades to think there is or was. Survival from cardiac arrest requires multiple therapies, just like any other complex disease whether it is heart failure, leukemia, or AIDS. What we strongly recommend is a systems-based approach, where all of the AHA Class I and IIa recommendations are deployed sequentially. We have described this in a program called Take Heart America. With this approach we have doubled survival rates in multiple cities. My additional comments about the ROC PRIMED study are below. Three fundamentally different BLS protocols, which included a) following the 2005 American Heart Association (AHA) Guidelines 30:2 protocol, b) continuous chest compressions without interruption for ventilation with a breath every 10 compressions with the 30 seconds vs 3 minutes of CPR, analyze, shock protocol, and c) continuous chest compressions without interruption for ventilation with a breath every 10 compressions without the 30 seconds vs 3 minutes of CPR, analyze, shock protocol. Quality of CPR – variable from site to site, reflected in part by the baseline differences in neurologically-intact survival from 1.1% to 8.1%. ITD put on late due to the analyze early vs analyze late protocol; on average the ITD was placed ~4 minutes after the start of CPR, often much later. Potential interactions between analyze early vs analyze late protocol, as CPR was started and stopped prior to ITD placement are unknown. The ITD was not always removed post ROSC, which can be harmful with the -16 cmH2O cracking pressure in the ROC ITD. There were very poor survival rates, as low as 1.1% at baseline in some sites, so an effect can be hard to detect even with tens of thousands of patients. Chest compression depth varied from patient to patient and some sites did not emphasize the basics of CPR – that it compress the chest ASAP 1.5-2 inches with minimal compressions. Without good compressions the ITD, which functions like a turbocharger during CPR, is ineffective. There was no mandatory training program or retraining program so that too varied from site to site. So what are the lessons we learned? When using the ResQPOD you need to continue to perform high quality CPR; it is fundamental to success. Emphasis on correct compression depth and rate needs to be re-emphasized while at the same time the importance of full chest wall recoil is stressed. In addition, rescuers need to follow the directions for use related to the timing of ResQPOD placement and removal. Training and regular retraining with hands-on, I believe every 3-6 months, is important. Best results are achieved with a systems-based approach which includes the practice of all of the key AHA 2005 Guidelines. The key guideline recommendations and their class level of recommendation are below. Early application of the ResQPOD is essential. It should be placed as soon as possible, but after chest compressions are initiated. Chest compressions should always be started right away. Focusing on quality of CPR (it is hard to do and regular retraining is essential) and tracking outcomes are essential to deriving value from CPR in general and from the ResQPOD. I believe we are on the threshold for a new era in CPR. The kinds of studies that ROC has performed are going to have to change so that systems-based approaches are used otherwise ROC will continue to have neutral or negative studies. Co-variables related to care outside and inside the hospital are too critical to go uncontrolled in the future. These uncontrolled variables impact the integrity of care and study outcomes. Once we deploy what we know works correctly in systems that function well initially (systems with a 1% survival should never be ROC study sites), we will see even more progress. Ultimately we will also want to regularly deploy automated CPR devices and new techniques that optimize circulation during CPR, (including a device that generates a continuous negative intrathoracic pressure between each intermittent positive pressure breath), perhaps cooling during CPR for patients still in cardiac arrest, and post-resuscitation care that includes cooling ASAP. I noticed during my research for this interview that NASA inducted the ResQPOD into the Space Foundation Technology Hall of Fame. How did that come about and why does NASA carry the ResQPOD on the Space Shuttle? In 1998 we started working with NASA and the US Army using the ITD in spontaneously breathing volunteers. Breathing through an ITD with a resistance of only -7 cm H2O, through a device called the ResQGard, lowers intrathoracic pressures, enhances blood flow back to the heart, and lowers ICP. We tested this in many human volunteers, including hypotensive volunteers. This other version of the ITD called the ResQGard is part of the standard care NASA astronauts get if they are hypotensive after prolonged space flight. Upon return to earth it takes a while for their bodies to get used to gravity and they often have severe orthostatic hypotension. The ResQGard helps maintain higher blood pressure and cerebral perfusion. The ResQGard is now being used by EMS systems to treat spontaneously breathing hypotensive patients and it is being used by military personnel to treat hypotensive soldiers. Research on the ITD has been funded by the NIH, the Defense Department, and by NASA. The ITD was inducted into the Hall of Fame as a result of this research. I am not aware that the ResQPOD is being used on the Space Shuttle although it should work in space. Thank you for this opportunity to share my thoughts with you and your readers. Resuscitation Outcomes Consortium (ROC) PRIMED cardiac arrest trial methods part 1: rationale and methodology for the impedance threshold device (ITD) protocol. In the January 2010 EMCast at EMedHome.com, Amal Mattu MD reviews Chang AM, Shofer FS, Tabas JA, et al. Lack of association between left bundle-branch block and acute myocardial infarction in symptomatic ED patients. Am J Emerg Med 2009;27:916-921. His comments confirm what I have suspected for a long time with regard to LBBB in the setting of suspected ACS. "This is a really interesting and provocative article that may bust the traditional myth that we should be thrombolysing or cathing everybody with chest pain who presents with a new left bundle branch block." "They found that there was no significant difference in the rate of acute myocardial infarction between patients that were presenting with a new, or presumed new left bundle branch block pattern versus patients with a known old left bundle branch block pattern […] In other words, when patients presented with a new left bundle branch pattern, those patients did not rule-in at any greater increased frequency compared to the other patients, and based on this data the argument is certainly made that when patients have chest pain and they present with the left bundle branch block pattern, there’s not necessary a need purely based on the presence of a new left bundle to assume that that patient is having an acute MI, and therefore that patient needs to get thrombolytics or go immediately to the cath lab." "As I mentioned before, there is reasonable data to indicate that if the patient has a left bundle branch block – whether it’s new or old – and they demonstrate Sgarbossa criteria, then those patients do end up ruling-in for acute myocardial infarction […] Simple presence of a new left bundle branch block pattern does not appear to warrant immediate activation of the cath lab or immediate thrombolytics according to this study." Amal Mattu MD does add the caveat that the guidelines still state that patients with new LBBB are supposed to get reperfusion therapy. Every once in a while I will head over to Pubmed.com and run a quick search on prehospital. It is a good way to stay current in this ever-changing field. It is also good practice to stay relevant when advocating evidence-based medicine. Here are some abstracts from my most recent query. All are open for discussion, so please leave your comments. BACKGROUND: The ability to perform drug calculations accurately is imperative to patient safety. Research into paramedics' drug calculation abilities was first published in 2000 and for nurses' abilities the research dates back to the late 1930s. Yet, there have been no studies investigating an undergraduate paramedic student's ability to perform drug or basic mathematical calculations. The objective of this study was to review the literature and determine the ability of undergraduate and qualified paramedics to perform drug calculations. METHODS: A search of the prehospital-related electronic databases was undertaken using the Ovid and EMBASE systems available through the Monash University Library. 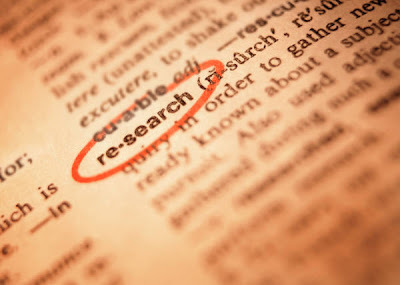 Databases searched included the Cochrane Central Register of Controlled Trials (CENTRAL), MEDLINE, CINAHL, JSTOR, EMBASE and Google Scholar, from their beginning until the end of August 2009. We reviewed references from articles retrieved. RESULTS: The electronic database search located 1,154 articles for review. Six additional articles were identified from reference lists of retrieved articles. Of these, 59 were considered relevant. After reviewing the 59 articles only three met the inclusion criteria. All articles noted some level of mathematical deficiencies amongst their subjects. CONCLUSIONS: This study identified only three articles. Results from these limited studies indicate a significant lack of mathematical proficiency amongst the paramedics sampled. A need exists to identify if undergraduate paramedic students are capable of performing the required drug calculations in a non-clinical setting. PURPOSE OF REVIEW: The primary purpose of this article is to highlight the latest airway research in multitrauma. RECENT FINDINGS: Management of the airway in multitrauma patients is a critical resuscitation task. Prehospital airway management is difficult with a high risk of failure, complications, or both. In-hospital performed conventional oral intubation with manual in-line stabilization, cricoid pressure, and a backup plan for a surgical airway is still the most efficient and effective approach for early airway control in multitrauma patients. Selective utilization of airway maintenance, instead of ultimate airway control in the field, has been suggested as a primary prehospital strategy. Properties of videolaryngoscopes complement standard laryngoscopes. When compared with a Macintosh laryngoscope, the Airtraq and Airwayscope diminish cervical spine motion during elective orotracheal intubation. 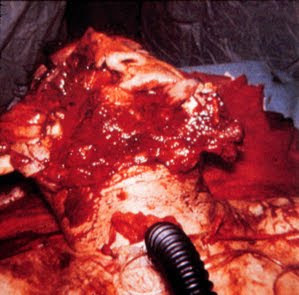 Penetrating neck injuries are the most frequent indication for awake intubation, whereas patients with maxillofacial injuries have the highest rate of initial surgical airway. SUMMARY: Risks and benefits of ultimate prehospital airway control is a controversial topic. Utilization of videolaryngoscopes in multitrauma remains open for research. Standardization of training requirements, equipment, and development of prehospital and in-hospital airway algorithms are needed to improve outcomes. Rational utilization of available airway devices, development of new devices, or both may help to promote this goal. Reduce patient prehospital delay in ACS. BACKGROUND: Delay from onset of acute coronary syndrome (ACS) symptoms to hospital admission continues to be prolonged. To date, community education campaigns on the topic have had disappointing results. Therefore, we conducted a clinical randomized trial to test whether an intervention tailored specifically for patients with ACS and delivered one-on-one would reduce prehospital delay time. METHODS AND RESULTS: Participants (n=3522) with documented coronary heart disease were randomized to experimental (n=1777) or control (n=1745) groups. Experimental patients received education and counseling about ACS symptoms and actions required. Patients had a mean age of 67+/-11 years, and 68% were male. Over the 2 years of follow-up, 565 patients (16.0%) were admitted to an emergency department with ACS symptoms a total of 842 times. Neither median prehospital delay time (experimental, 2.20 versus control, 2.25 hours) nor emergency medical system use (experimental, 63.6% versus control, 66.9%) was different between groups, although experimental patients were more likely than control to call the emergency medical system if the symptoms occurred within the first 6 months following the intervention (P=0.036). Experimental patients were significantly more likely to take aspirin after symptom onset than control patients (experimental, 22.3% versus control, 10.1%, P=0.02). The intervention did not result in an increase in emergency department use (experimental, 14.6% versus control, 17.5%). CONCLUSIONS: The education and counseling intervention did not lead to reduced prehospital delay or increased ambulance use. Reducing the time from onset of ACS symptoms to arrival at the hospital continues to be a significant public health challenge. CLINICAL TRIAL REGISTRATION: clinicaltrials.gov. Identifier NCT00734760. BACKGROUND: Despite the existence of national American Heart Association guidelines and 2 termination-of-resuscitation (TOR) rules for ceasing efforts in refractory out-of-hospital cardiac arrest, many emergency medical services agencies in the United States have adopted their own local protocols. Public policies and local perceptions may serve as barriers or facilitators to implementing national TOR guidelines at the local level. METHODS AND RESULTS: Three focus groups, lasting 90 to 120 minutes, were conducted at the National Association of Emergency Medical Services Physicians meeting in January 2008. Snowball sampling was used to recruit participants. Two reviewers analyzed the data in an iterative process to identify recurrent and unifying themes. We identified 3 distinct groups whose current policies or perceptions may impede efforts to adopt national TOR guidelines: payers who incentivize transport; legislators who create state mandates for transport and allow only narrow use of do-not-resuscitate orders; and communities where cultural norms are perceived to impede termination of resuscitation. Our participants suggested that national organizations, such as the American Heart Association and American College of Emergency Physicians, may serve as potential facilitators in addressing these barriers by taking the lead in asking payers to change reimbursement structures; encouraging legislators to revise laws to reflect the best available medical evidence; and educating the public that rapid transport to the hospital cannot substitute for optimal provision of prehospital care. CONCLUSIONS: We have identified 3 influential groups who will need to work with national organizations to overcome current policies or prevailing perceptions that may impede implementing national TOR guidelines. BACKGROUND: American College of Cardiology/American Heart Association guidelines recommend greater than 75% of patients with an ST-elevation myocardial infarction receive primary percutaneous coronary interventions (PPCI) within 90 minutes. Despite these recommendations, this goal has been difficult to achieve. METHODS AND RESULTS: We conducted a prospective interventional study involving 349 patients undergoing PPCI at a single tertiary referral institution to determine the impact of prehospital 12-lead ECG triage and emergency department activation of the infarct team on door-to-balloon time (D2BT). The median D2BT of all patients (n=107) who underwent PPCI after field ECG and emergency department activation of the infarct team (MonashHEART Acute Myocardial Infarction [MonAMI] group) was 56 minutes (interquartile range, 36.5 to 70) compared with the median time of a contemporary group (n=122) undergoing PPCI during the same period but not receiving field triage (non-MonAMI group) of 98 minutes (73 to 126.45). The median D2BT time of 120 consecutive patients who underwent PPCI before initiation of the project (pre-MonAMI group) was 101.5 minutes (72.5 to 134; P less than 0.001). The proportion of patients who achieved a D2BT of less than or = 90 minutes increased from 39% in the pre-MonAMI group and 45% in the non-MonAMI group to 93% in the MonAMI group (P less than 0.001). CONCLUSIONS: The performance of prehospital 12-lead ECG triage and emergency department activation of the infarct team significantly improves D2BT and results in a greater proportion of patients achieving guideline recommendations. Monitoring mean arterial blood pressure. Umm.. See the first abstract. Luckily most modern monitors calculate this for us. OBJECTIVES: For some time, the inaccuracies of non-invasive blood pressure measurement in critically ill patients have been recognised. Measurement difficulties can occur even in optimal conditions, but in prehospital transportation vehicles, problems are exacerbated. Intra-arterial pressures must be used as the reference against which to compare the performance of non-invasive methods in the critically ill patient population. Intra-arterial manometer data observed from the patient monitor has frequently been used as the reference against which to assess the accuracy of noninvasive devices in the emergency setting. To test this method's validity, this study aimed to determine whether numerical monitor pressures can be considered interchangeable with independently sampled intra-arterial pressures. METHODS: Intensive Care Unit nurses were asked to document arterial systolic, diastolic and mean pressures numerically displayed on the patient monitor. Observed pressures were compared to reference intra-arterial pressures independently recorded to a computer following analogue to digital conversion. Differences between observed and recorded pressures were evaluated using the Association for the Advancement of Medical Instrumentation (AAMI) protocol. Additionally, two-level linear mixed effects analyses and Bland-Altman comparisons were undertaken. RESULTS: Systolic, diastolic and integrated mean pressures observed during 60 data collection sessions (n = 600) fulfilled AAMI protocol criteria. Integrated mean pressures were the most robust. For these pressures, mean error (reference minus observed) was 0.5 mm Hg (SD 1.4 mm Hg); 95% CI (two-level linear mixed effects analysis) 0.4-0.6 mm Hg; P less than 0.001. Bland-Altman plots demonstrated tight 95% limits of agreement (-2.3 to 3.2 mm Hg), and uniform agreement across the range of mean blood pressures. CONCLUSIONS: Integrated mean arterial pressures observed from a well maintained patient monitor can be considered interchangeable with independently sampled intra-arterial pressures and may be confidently used as the reference against which to test the accuracy of non-invasive blood pressure measuring methods in the prehospital or emergency setting.